When I think of physical sacrifice, I think of blood, sweat, and tears being shed. I think of the human body suffering — even dying — for another person’s life. In the Bible, I think of Abraham sacrificing his son Isaac on the altar. I think of Shadrach, Meshach and Abednego stepping into the fiery furnace instead of bowing down to the golden idol. I think of Stephen preaching the Gospel and being stoned on the street, and I think of Paul doing the same and being thrown into jail multiple times. I also think of Jesus sacrificing himself on the cross for our sins. I think about the whipping, the spears thrust into him, the nails that were pierced into his wrists and feet, and the crown of thorns laid on his head. Jesus willingly endured all of this – including the massive weight of all humankind’s sin – just so we could have eternal life. Physical sacrifice is a theme that is rampant throughout the Bible from cover to cover. Especially if God sent his Son down to earth to become human for the purpose of suffering to give eternal life, then I think physical sacrifice is a pretty big deal. In fact, I think physical sacrifice is something that God wants each of us to incorporate into our lives. 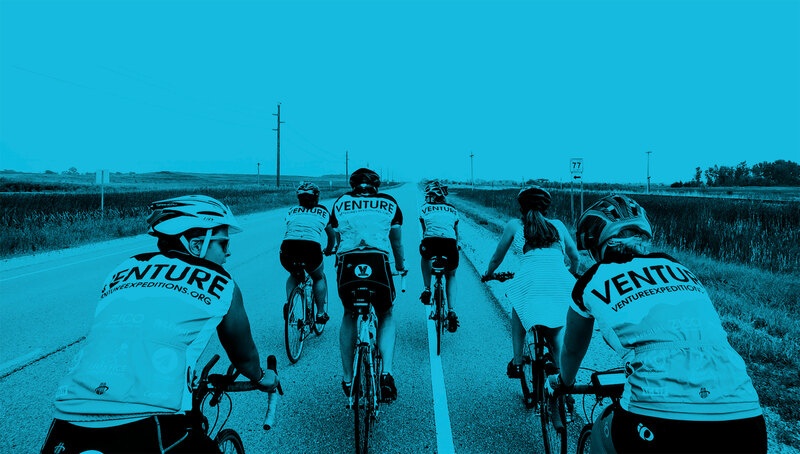 Venture has taken the theme of physical sacrifice and made it one of the main focuses of the organization. Every summer, hundreds of people sign up to bike, run, and hike across America to raise money for those who are oppressed in Thailand. Yet, physical sacrifice does not always take the form of a body physically draining itself. Physical sacrifice goes a lot further than that. Physical sacrifice is really just obedience to God. It’s simple in definition, although it expresses itself in various ways. For some people, God asks them to donate their time and resources to a nonprofit. 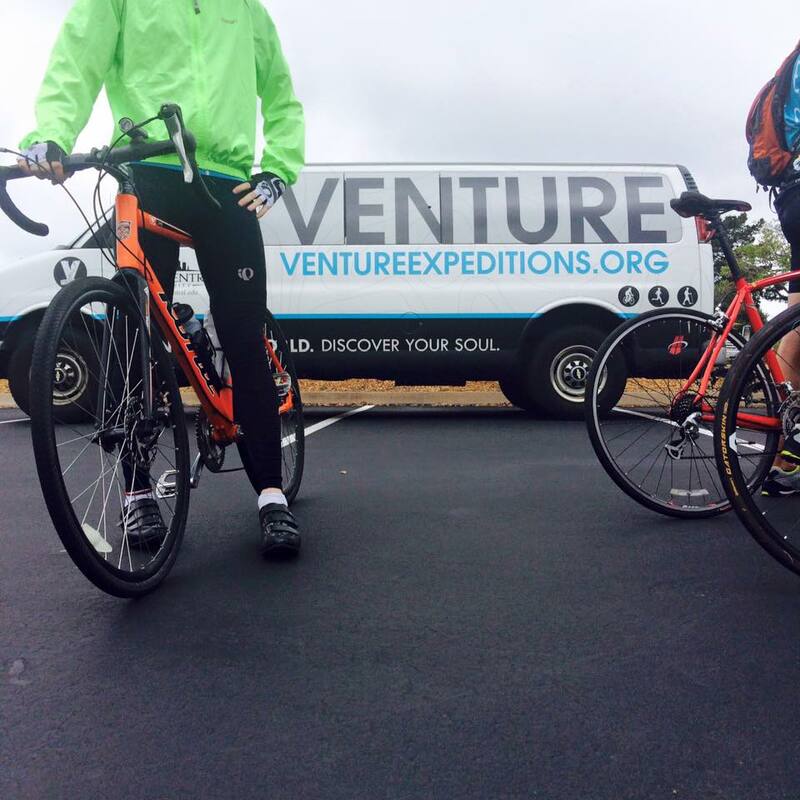 For others, God asks them to give up two months of their summer to bike across America and fundraise for Venture’s projects in Thailand. And for a few others, God asks them to dedicate their lives on the mission field. No act of physical sacrifice is the same, yet God doesn’t view one as less or better than the other. He just asks us to do what he has called us to do – no more and no less. For those that are serving God in Thailand right now with Venture, physical sacrifice is no stranger to them. These people have given up their American dream to serve God in a nation that is less than 1% Christian and over 95% Buddhist, and left their family and friends back home. That is absolutely physical sacrifice. But, it also goes beyond that into the tasks and choices in everyday life. Physical sacrifice involves placing family above ministry, enduring sickness when it comes, teaching English to kids, praying for the nation of Thailand, and wholeheartedly investing into everything else that God has called them to in Thailand. Currently, there are five full-time Venture missionary couples living in the Chiang Mai area, along with Pae, a Karen-Thai who coordinates the HOSEA Center. These twelve make up the core of Venture’s presence in Thailand. Their work varies from partnering with YWAM (Youth With A Mission) to teaching physical education at GIS (Grace International School) to teaching English at Watkeerekate School. Although they all have different duties, they are all working towards one common goal: to bring biblical justice to the oppressed in Thailand. And I think that’s what physical sacrifice needs to do. If physical sacrifice is done for any other reason than to spread the love of Christ to those who are broken, then it is worth nothing. I don’t think it was a coincidence that Jesus told us to love God with all of our heart, soul, mind and strength. I think he included strength for the very purpose of loving him with our physical body, whether that’s in the physical labor of our job or exercise. All that matters is that we obey God, and enter into his will – whether that’s biking from Minneapolis to Chicago (Midwest Tour, you guys rock! ), donating $100 to a nonprofit, or saying goodbye to America to live in Thailand as a missionary. Let me end with this quote by V. Raymond Edman, an American author and a former president of Wheaton College. It’s long, but I think it truly captures what it means to physically sacrifice for God. And that’s what physical sacrifice is all about: obedience to God, despite fear or comfort, or anything else that might get in the way. Editors Note: This post was originally published in July of 2014 by former Venture intern, Rebekah Jacobson. It has been updated for accuracy and comprehensiveness.